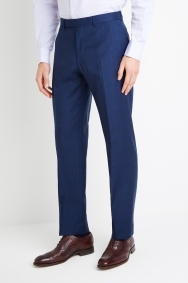 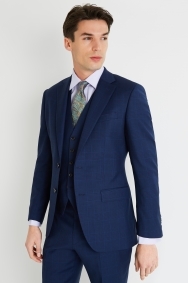 Whatever the event, this 100% wool suit will give you a timeless appearance thanks to the subtle checks. 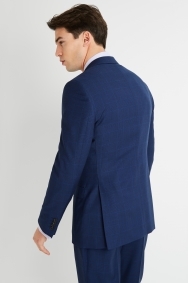 Classic tailoring in a regular fit gives you additional width across the body for comfort, while the structured shoulder helps it to drape properly. 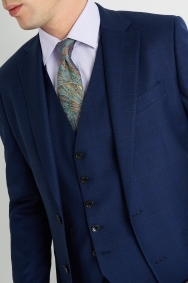 Complete the timeless look with a pastel shirt and a patterned silk tie. 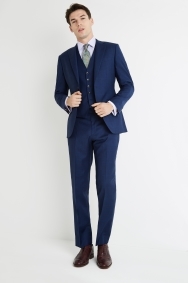 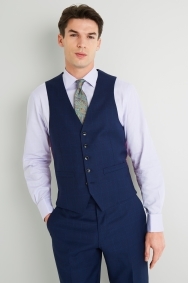 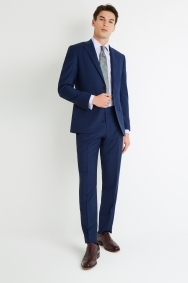 Lovely blue lightweight wool suit, perfect for that special occasion.